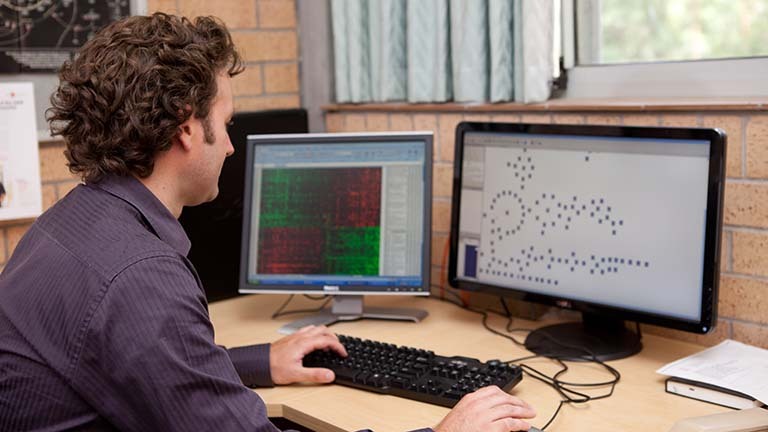 HMRI employs staff to assist researchers with their studies including a Clinical Research Design & Statistics Unit and a team of Health Research Economists. The Clinical Research Design & Statistics Unit, is a group consisting of epidemiologists, statisticians, programmers, and health economists who provide methodological and analytic advice and support services to clinicians to enable them to best investigate their research ideas and questions. The CReDITSS Unit help clinicians answer their research questions in a way that assists clinical practice. In 2015, the unit assisted in designing and performing statistical analyses on over 200 projects, driven by registrars, hospital staff and university researchers. An example involves the derivation of a clinical decision rule to help general surgeons predict who will have an anastomotic leak after bowel surgery. Early identification of such patients means better outcomes. The statistical analyses tested the ability of three inflammatory markers to predict those who went on to leak and require surgical revision. It was found that a simple rule based on a jump of over 50 units in CRP in the first three days post-op had very high predictive value for identifying these patients. The findings have been submitted for publication and have resulted in a change of practice among the general surgeons. Another analysis has addressed the effect of having General Medicine advanced trainees posted in the Acute Medical Unit to help with triage and the impact on meeting the National Emergency Access Targets (4 hour rule). The results indicate that advanced trainees were able to reverse a trend in increasing ED length of stay figures and resulted in an increasing number meeting the NEAT. This has also been submitted for publication. The Unit also continues to assist the Thrombolysis Implementation randomized controlled trial, which seeks to encourage/facilitate systems change to increase thrombolysis rates for stroke. This involves upskilling clinicians and reorganising triage, ED and imaging systems to facilitate this intervention. The trial has just been completed and the unit is assisting in cleaning and organizing data in preparation for the analysis. HMRI also houses a world class Health Research Economics (HRE) group which can help researchers to foster the integration of economic principles and techniques into health research and also conduct original research of relevance to the field of health economics. This service can specifically help to define the costs to the community associated with undertaking a particular therapy or service and this is a critical component of many successful research grant applications. The unit is able to handle both cost effectiveness and cost benefit analysis, and is particularly strong on the social return on investment model. These services are available to all HMRI affiliated researchers.